Lont Island's Top Security Guard Company! - Interstate Security - Long Island's Top security training school, Security guard company and private investigation firm. ﻿The primary functions of a security guard are to protect life and property. 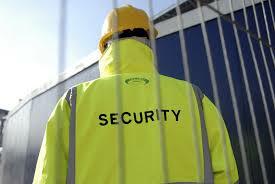 At Interstate Security, we supply Top Notch Licensed, Bonded and Insured security guards who are individually trained to meet our high standards. We provide the highest level of security at an affordable cost to our clients. Contact Us For a FREE Security Assessment.